Starfire: There are two wolves fighting in each man's heart. One is Love, the other is Hate. Q: Was there not a Norwegian film several years ago that was called the same? Good action scenes wasted on terrible story, acting and editing. The only redeeming feature of this movie were the well made action scenes (not all were good, but overall there were more enjoyable fight sequences than boring ones). The story is clichéd and predictable. The acting is terrible (the main role is so horribly sketched out that you can barely blame the actor, the supporting roles all make a mark for their blandness). The main couple have no chemistry, the dialog is UN-enjoyably bad and the editing looks like it was done by a blind man. Scenes start and end with absolutely no flow. 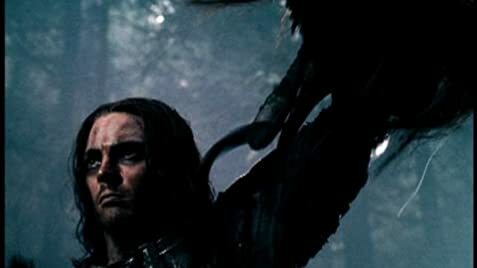 One scene was particularly bad (I wont spoil it for you, suffice to say its the one where the Indians charge into battle against the hero's wishes). That is the only scene when I laughed in the movie, and its supposed to be a sad/rousing scene. The trailer of this film looked really pretty, but then again the consisted of mostly the fight scenes so I'm not surprised at all. The director seems to have had a good eye for visuals, but his effort has ended there. 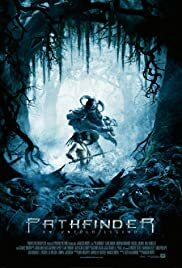 Pathfinder = 5/10 Five for the fight scenes. I was trying to find a path out of the theater at many times during the movie. 185 of 281 people found this review helpful. Was this review helpful to you?